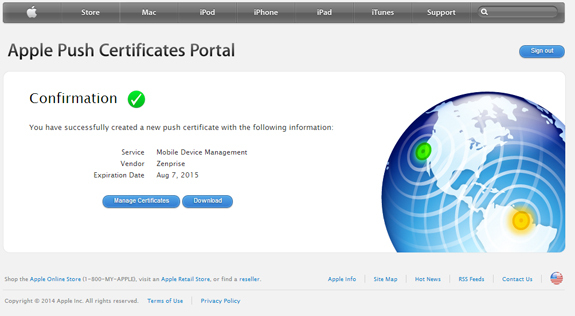 When you are planning the deploy Citrix XenMobile MDM (Mobile Device Manager) and what’s to enrol and manage iOS devices, you need an APNS (Apple Push Notification Service) certificate. 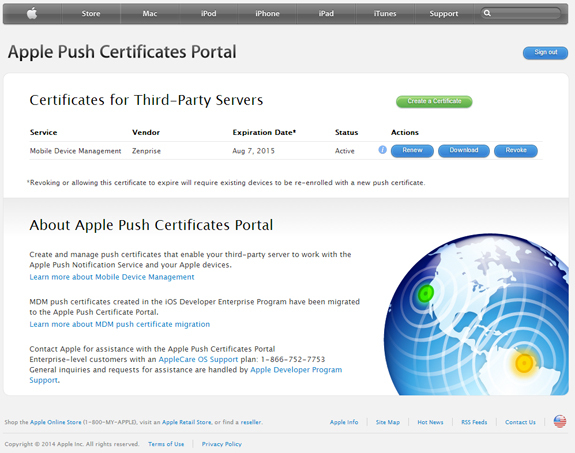 It is very simple to get an APNS certificate (for free) and you only need a Microsoft Server with the Internet Information Services (IIS) role installed on it, and an Apple ID. To obtain the APNS certificate follow these four little steps. 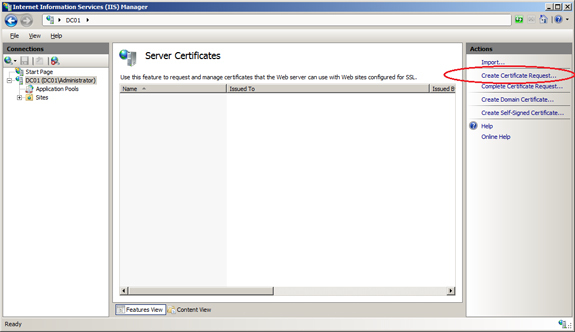 Login to a Windows Server where IIS is installed on and open the Internet Information Services (IIS) Manager. Select Microsoft RSA SChannel Cryptographic Provider as Cryptographic service provider and 2048 as Bit length. 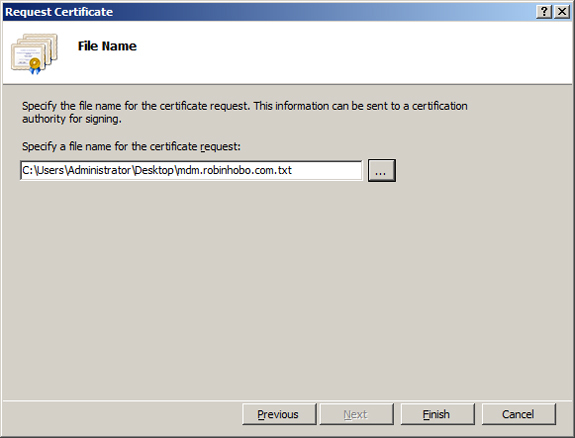 Upload the Certificate Request file and download the signed version (.plist file) at step 2. 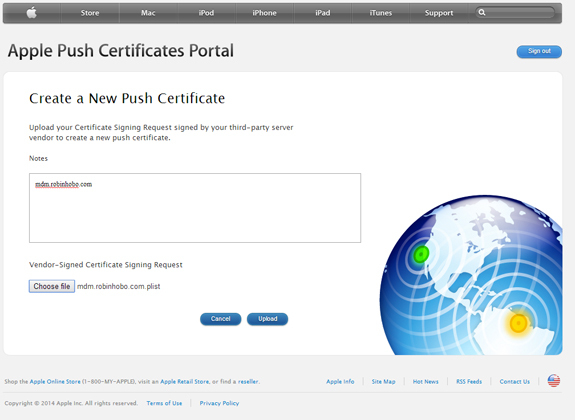 After receiving the .plist file from Citrix, it’s time to submit it to Apple to get the APNS certificate. 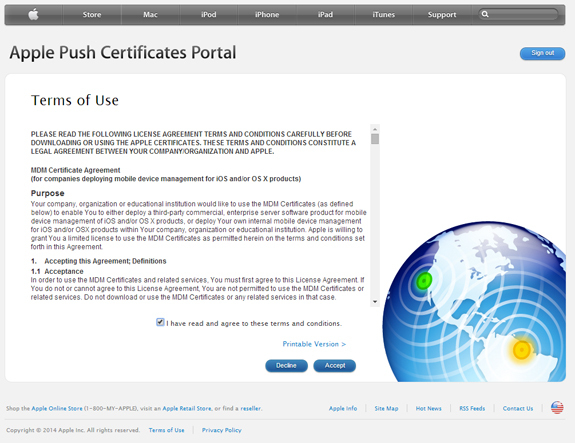 Open a browser and go to the Apple Push Certification Portal: https://identity.apple.com/pushcert (if for some reason the site is not working, first go to http://developer.apple.com/devcenter/ios/index.action, logon and then reopen the Apple Push Certification Portal). Fill in the sign in information of an Apple ID. NOTE: Use a company Apple ID (registered with a common company email address for general use, for example administrator@domain.com or servicedesk@domain.com). Once the APNS certificate is created with this account it is not transferable to another Apple ID, it has to be renewed every year with the same Apple ID! Optionally you can add a note, this can be helpful if you manage multiple APNS certificates, I always fill in the external hostname. Click on Download. 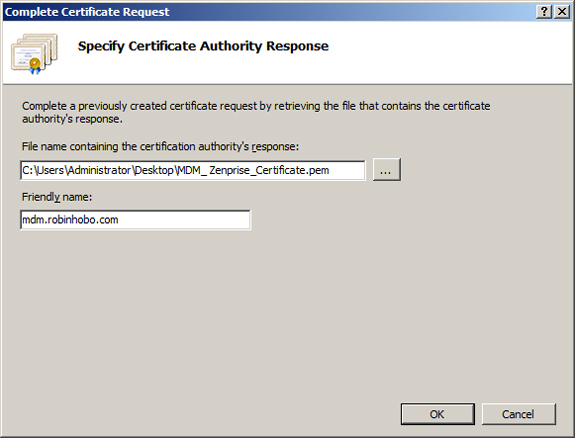 You now get a .pem certificate file. In the final step we must generate a .p12 file with Microsoft Internet Information server (IIS). 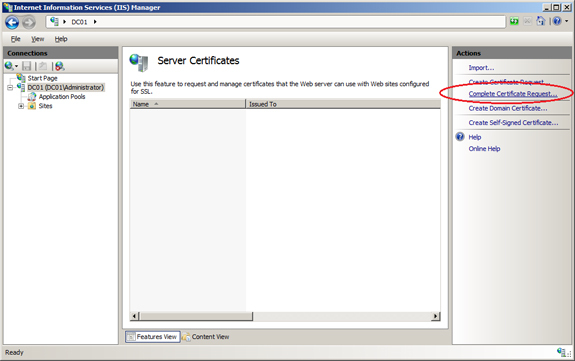 Login to a Windows Server where IIS is installed on and open the Internet Information Services (IIS) Manager. 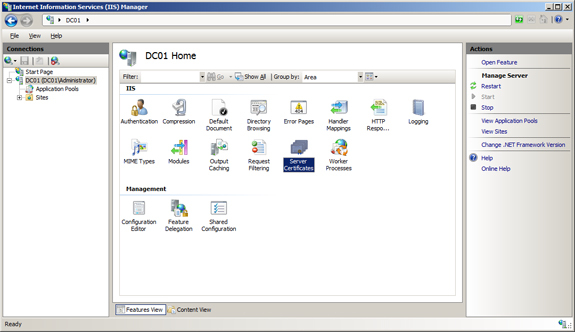 Select a location where to save the file to and give it a name (.pfx). Fill in a Password. 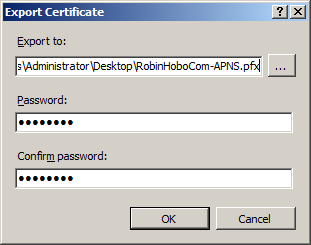 This password is needed when importing this APNS certificate in the XenMobile Mobile Device Manager. 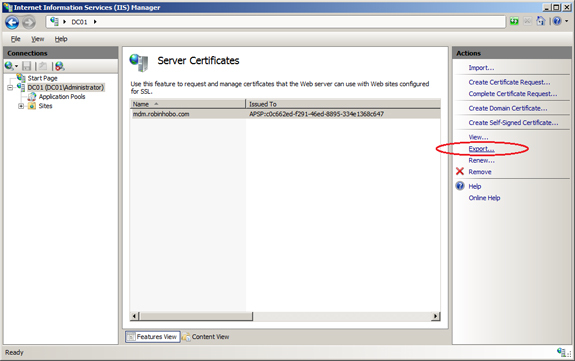 By default an APNS certificate is valid for one year, after that it has to be renewed. To renew the APNS you have to go through all the four steps, but when submitting the certificate to Apple you need to choose for the option renew. 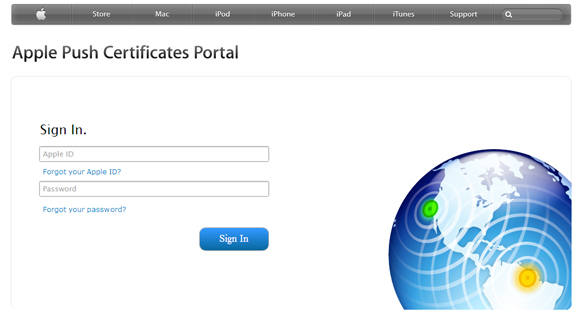 It’s important that the certificate will be renewed with the same Apple ID as it was created. Keep in mind that if you use a different Apple ID or choose for the option to create a new certificate with the same Apple ID instead of renew. All devices currently enrolled with XenMobile MDM needs to be re-enrolled! So beware of that, always choose for the option renew. Excellent post on the tricky subject of APNS and XenMobile, Robin. Plain and simple. I enjoy reading your blog, my friend! 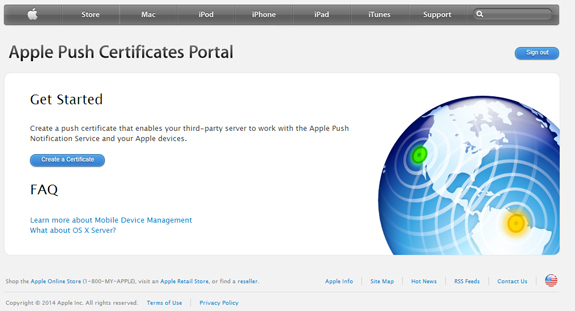 How do I pass a APNS certificate from one appleID to another appleID, so I can keep on renewing it enery year? Good to mention this link, thanks! The step of having Citrix to sign the CSR has changed. 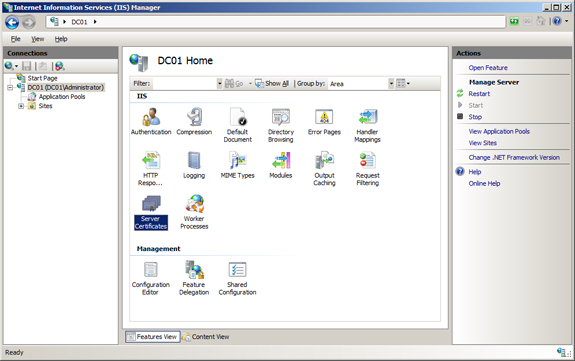 You can now use this linkhttps://xenmobiletools.citrix.com/APNSCertGateKeeper-1.0/csr/ . Might be good to update this in your article. 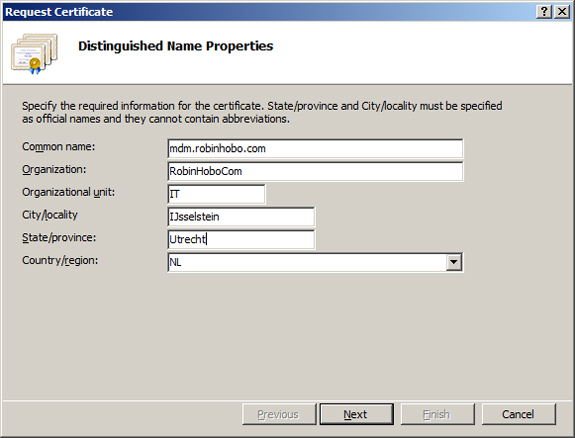 Helped me to easily create new APNS certificates and renew the existing ones I’d implemented.